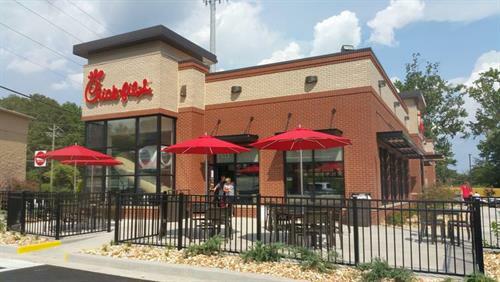 At Chick-fil-A Vestavia Hills we believe in providing our guests the best Restaurant experience we can. Our team prides itself on providing great tasting food and a comfortable environment in which to enjoy it. Located on Highway 31 in beautiful Vestavia Hills!